Provo City School District is committed to assessing the educational needs of academically talented students and providing them with a differentiated education designed to help them continually progress academically and to achieve their high academic potential while addressing their unique needs. All students, including the academically talented, have the right to be engaged and challenged every day. Differentiation of curriculum for academically talented students creates a spillover effect that improves education and the quality of life in the community. The community, including the school system, has a responsibility to help develop the potential of academically talented students. The Center for Accelerated Studies is a full-time gifted magnet program for students in grades 4-6 from across the district, which was created to address the unique instructional needs of academically gifted students. It serves about 180 gifted students who have demonstrated high proficiency in mathematics, science, and language arts. It provides the opportunity for gifted students to move beyond core curriculum, as they have demonstrated mastery of grade level curriculum. CAS provides unique enrichment activities that are particularly appropriate for students who learn at a more rapid pace, and desire to delve deeply into curricular topics, and work as practitioners in various fields of study. 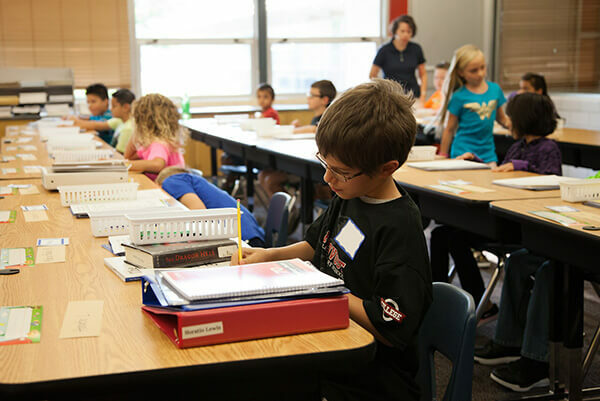 The flexible and more rapid pacing in the CAS classrooms meets the needs of gifted students. The CAS students become a close-knit group, as they have opportunities for many friendships with intellectual and social peers. The students learn to respect the differences, gifts, and achievements of peers. The gifted magnet classrooms are located at Provo Peaks Elementary School (665 East Center Street) and Sunset View (525 S 1600 W). Students that live within district boundaries and/or are enrolled in Provo District schools will be considered first for placement in this program. Who can apply to CAS? Parents of prospective fourth, fifth, and sixth grade students can apply for their children. Once a student is accepted into the program, they are placed for all remaining elementary school years. The CAS application includes a student information form, a parent letter, a student survey, a teacher reference email (the email address of a teacher who we will contact for a reference letter), and a CoGAT exam score. How do I apply for my child to attend CAS? Application opens on Nov. 5, 2018. The first round of acceptance letters will be sent by Feb. 13, 2019. The application link will be open until the classes are filled. How can I have my child take the required CoGAT exam? The CoGAT test will be offered in each Provo City School District elementary school for those students whose parents have signed up for their child to take the exam. Teachers may also recommend testing. It is a computer-based test that takes about 2 hours. Is CAS a pull-out program? No, CAS places students in an accelerated classroom for the entire school day. Can my child receive other accelerated services in our regular, boundary school? Yes. Every school has opportunities for accelerated students to learn at high levels. Contact your school’s principal to discuss the options for your child. Who benefits from a CAS classroom? [C.A.S] has captured the interest of my child and increased her love of learning. I love that my daughter’s confidence and self-esteem have improved. She is exemplifying the “growth mindset.” The main reason I wanted her in CAS is because of the content of the academics that would be offered. So many good things have come from CAS. Does the district bus students to CAS sites? Unfortunately, no. The state does not fund transportation services for parent choice programs such as CAS and Dual Language Immersion. In some cases, parents have coordinated carpools to CAS sites. If I have a child in CAS, can my other children attend the school, as well? In many cases, yes. As in other school choice instances, parents need to apply for this boundary exception to the Student Services department at the Provo City School District offices (280 West 940 North). This is done separately from the CAS application.